Comment: In Jabari Jumps we follow a young boy getting ready to jump from the high dive for the first time. He has prepared himself for this moment with swim lessons and pep talks, yet we still see a moment of doubt. 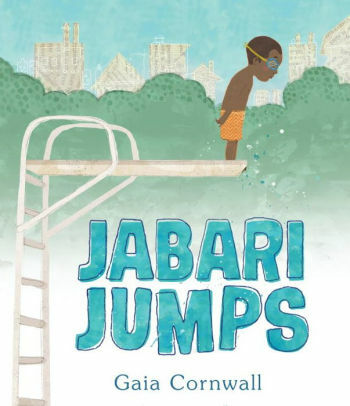 Jabari must find the courage to do the thing he needs to do; jump from the high dive. The Old Testament reading for this morning tells us the story of David and Goliath. David has volunteered to fight Goliath and others are telling him he can’t do it. David reminds them that he has been prepared for this moment. David reminds them of saving the sheep from wolves and bears. David knows he can do this because he has God on his side and has done scary things before. We might not see in the scripture David’s fear, but we can expect that he had a little bit. He clung to his knowledge of God and his past experiences. This is something we can teach our children. We can show them in the past they have made it through scary situations with God’s help, and so they can do it now too. We can find our courage in God. 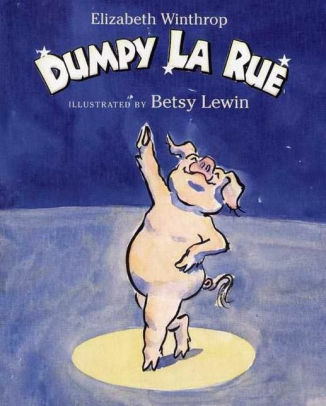 Comment: Dumpy wants more than anything to dance but everyone tells him pigs can’t dance in Dumpy La Rue. Dumpy does not let the words of others stop his dreams. He puts everything he has into dancing. His passion and joy for dancing exuberate from him. These words from Paul show his passion for the work he is doing. He is begging the Corinthians catch on to the passion so that everything they do points to Jesus. Following Christ is not an easy task. It will involve heart ache and pain. Dumpy learned that following his dreams involved some pain and joy. When he let his passion lead he was able to do great things. Paul reminds us that the life of a Christian is not easy. Sometimes we will have pain. We might get bullied, but with Christ, we can pull through and lead a life that points to Christ. 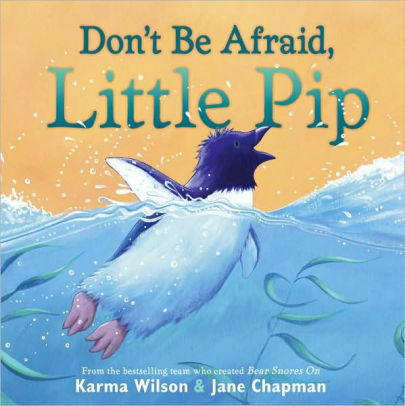 Comment: Little Pip in Don’t be Afraid Little Pip is a penguin who is afraid of swimming. He is afraid of doing the very thing he was created to do. He has forgotten who he is and what he is. Little Pip goes out of his way to try and learn to fly like other birds to, only to come crashing into the water where he must swim for his life. Little Pip tells everyone he can about his fear of swimming, and they all shrugged it off. One young penguin is excited about learning to swim and reminds little Pip that he was created for swimming. This penguin reminds little Pip who he is and tells him there is nothing to be afraid about. The disciples are in a boat with Jesus when the storm hits and find themselves scared and worried they will not make it through the storm. The disciples wake Jesus “Don’t you care?”. The disciples have forgotten who they are and who they are with. Jesus reminds them to have faith and not to fear. He was with them the whole time and they need to trust in him. When we claim our identity, we are able to hold on to our faith, and not let the fear overtake us. We are happy to welcome back Union Presbyterian Seminary alumna Elizabeth Boulware Landes as our Lectionary Links writer this week. Elizabeth serves as the Associate Pastor for Children’s and Family Ministry at Faith Presbyterian Church, Aledo, TX. Lectionary Links (RCL): June 24, 2018 by Storypath is licensed under a Creative Commons Attribution-NonCommercial 4.0 International License.